Features: Button Front, Short Sleeves, Rounded Hem--longer in back "Shirt Tail", Pleated Yoke in front and back, Shell buttons. Care: Hand Wash Cold or Dry Clean. Lay flat to Dry. Do not place item in hot dryer as it will shrink. 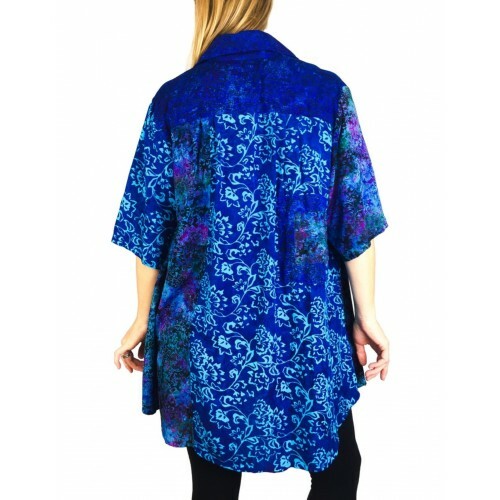 This beautiful Indonesian handmade BATIK FABRIC is wearable art. 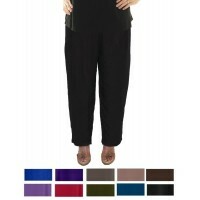 With great drape and flow, the rich and luscious colors are designed to flatter all skin tones. 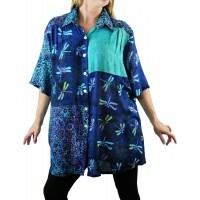 BATIK FABRIC can vary in tone and shades, so please expect that when you purchase this item. Due to the nature of this handmade fabric it can have irregularities that are part of the look. This is in no way considered a fabric flaw. 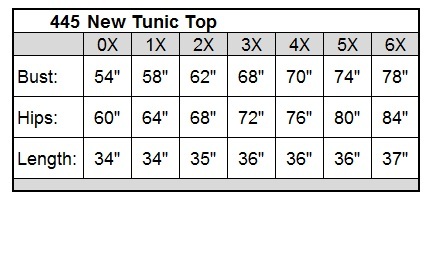 Placement of the pattern will vary. our latest updates. Be part of our family! Shop Women's Regular and Plus Size Clothing at WeBeBop with Tops, Pants, Skirts and Dresses in Sizes Large-6X. We are a Fashion Industry leader specializing in Natural, Breathable fabrics in styles that fit a Woman's Real Curves. Our Generous fit isn't about making it big, but to provide a level of comfort that's perfect for work or play. Shop WeBeBop for beautiful prints and great Silhouettes that celebrate a women's curves. 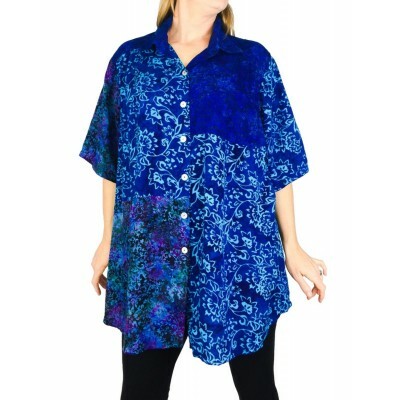 For over 30 years WeBeBop has been a major resource for women's regular and plus sizes apparel. We started in Berkeley as a small company that offered great casual styles, but soon expanded into a network that included thousands of boutique and department stores. Our goal has always been about quality and comfort which is why our generous fit has remained a key selling point. This is especially true for our Plus Sizes because the industry has made too many changes which has caused confusion to our customers. Our customers value that we maintain a size standard that can be applied to all our styles which include plus-size dresses, plus-size tunics, plus-size swing tops, plus-size pants, plus-size skirts and many more. At WeBeBop we celebrate a woman's curves and take pride in providing great silhouettes that work for day or night. We have sourced the world to make our garments, including manufacturing in California, or importing great cotton styles from India, but our biggest success has been sourcing amazing handmade fabrics from Indonesia. Our core product is made with the highest quality printed and solid Rayon which is a natural, non-synthetic, fabric that breathes. What makes rayon special is that it drapes beautifully and if you machine wash in cold water and line dry, it will never fade and last for years. It's amazing to hear stories from our customers who are happy to share that they are still wearing WeBeBop garments from 25-30 years ago! We are always expanding into new designs that are welcomed by women from around the globe. In a world with cheap fast-fashion, our customers know that we are providing a quality designs at an affordable price. We also don't just develop what we think will sell, we listen to our customers and design in a way that creates community. At WeBeBop, we are a family and strive to keep producing amazing clothing for years to come.